Do Christians Practice Cannibalism When They Participate in Holy Communion (Lord's Supper)? The above utterance of Jesus has caused mixed reactions among non-Christians who term Christians as cannibals because of heeding Jesus' words. In effect, does it mean when Christians eat any form of baked flour or drink any acceptable cold beverage, they're literally eating Jesus' body and drinking his blood? Jesus urged his disciples, and subsequently newly converted followers, to be in the habit of 'eating his body' and 'drinking his blood.' They should do the stated action together, in their gatherings, as often as possible. Thus, Christians are everyday cannibals when they engage the said activity. 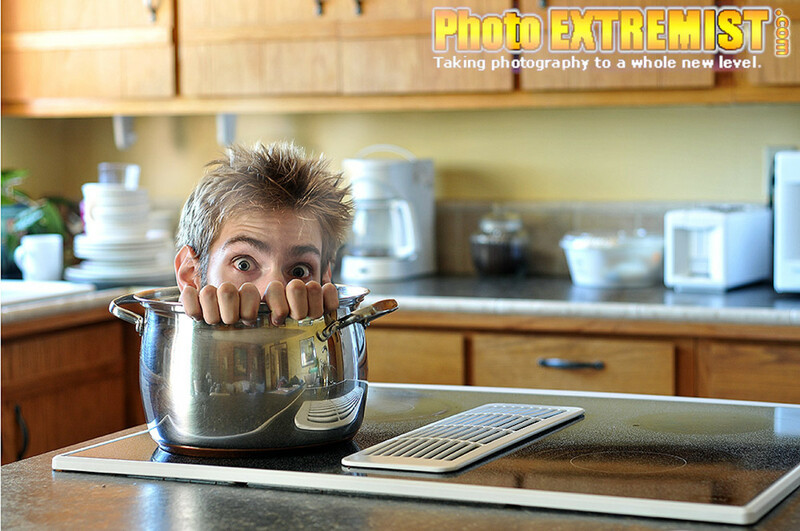 Cannibalism refers to the act of eating the flesh of a human being. It is not restricted to eating the outer part of a human body but also internal organs. The definition has been extended to zoology to include animals eating meat of their own kind. History is filled with records of communities or tribes who were involved in cannibalism. Whether it was out of necessity (hunger/starvation) or as a ritual, by eating a human flesh then it is downright cannibalism. Generally, Christians would be practising cannibalism if they were literally eating the body of Jesus and drinking his blood. There is a difference between a symbol used to represent something and literally eating that thing. First of all, it is worth noting the Bible is rich in the use of figurative language. 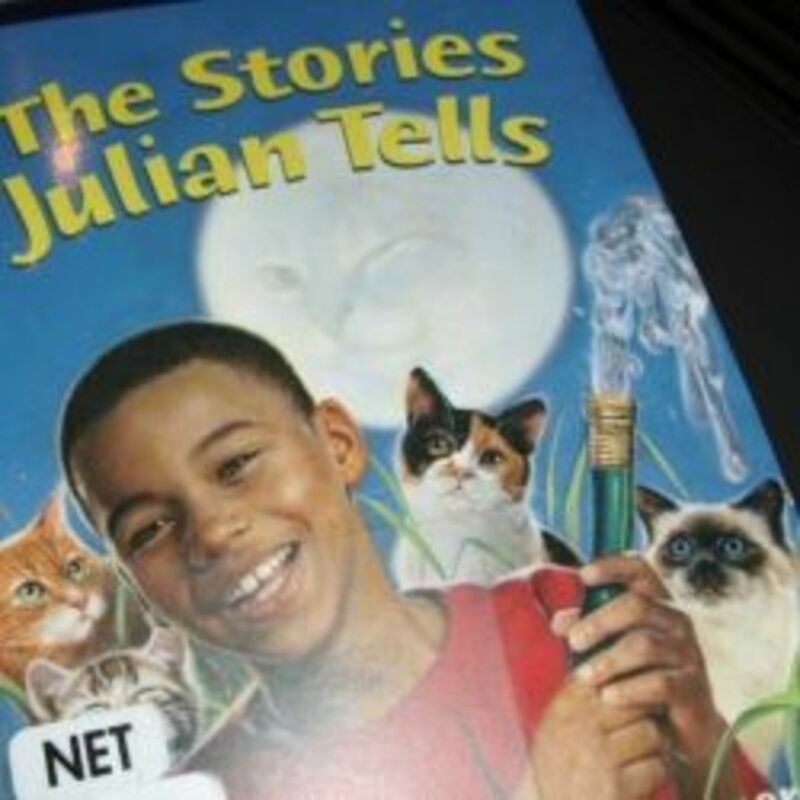 Normally, a writer or speaker employs figurative language in order to explain an idea in a manner a reader or listener can connect the dots and find out what message or idea the speaker or writer was trying to convey. Hearst Seattle Media states: "Using figurative language is an effective way of communicating an idea that is not easily understood because of its abstract nature of complexity. Although figurative language does not offer a literal explanation, it can be used to compare one idea to a second idea to make the first idea easier to visualize. Figurative language also is used to link two ideas with the goal of influencing an audience to see a connection even if one does not exist." We are familiar with different symbols that are used in various parts of the world to represent something. Red color represents blood, black color represents black people or evil, white color represents white people or peace, a dove represents peace and chains symbolize oppression. 1. Remind Christians of the ultimate price Jesus had to pay. 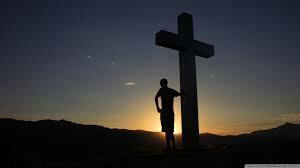 Jesus was crucified on the cross as a form of sacrifice so that we can be forgiven of our sins once and for all. In the Old Testament the Jewish people were required to present an innocent lamb to the appointed priest(s). The lamb would be sacrificed thus acting as a sign God has forgiven the individual or the nation of Israel as a whole for rebelling against him or disobeying his commands. This was temporal sacrifice. 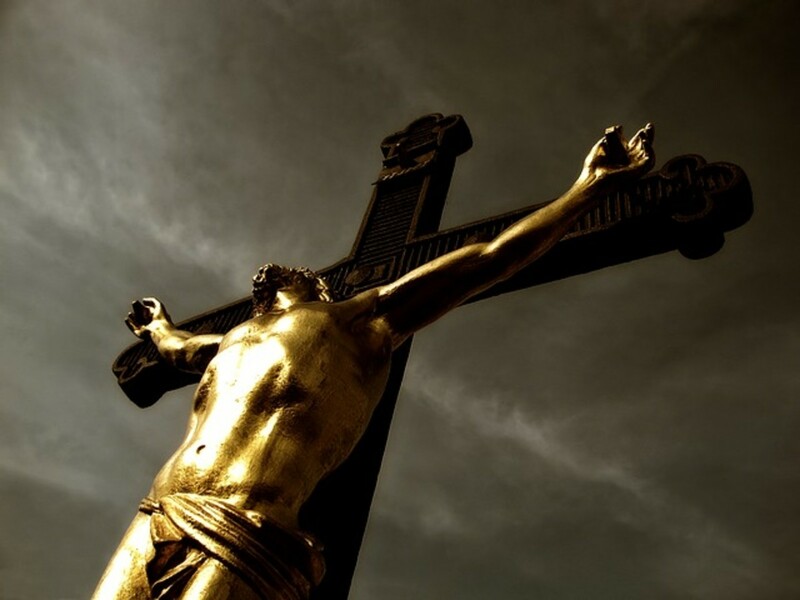 Jesus crucifixion acts as a permanent sacrifice. 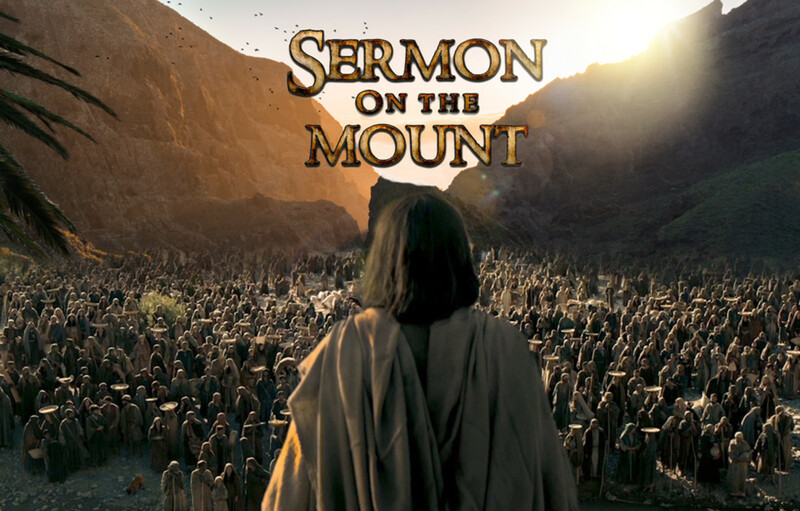 Subsequently, Christians are not required to seek a human priest for a sacrifice to be made. They can approach the throne of God through prayer and ask God for forgiveness. 2. Remind Christians the theme of crucifixion. Thus, they are to share the Gospel, Good News, 'For God so loved the world that He gave His begotten Son that whatsoever believes in Him should not perish but have everlasting life.' (John 3:16) The Good News is there is meaning and purpose of our existence, there is life after death (eternal life), God loves us and we can approach Him directly without the need of a human mediator. Jesus is the mediator. He is the High Priest. He has made it possible for people to approach God without requiring a human figure to do so on our behalf. 3. Encourage Christians to stick together, to persevere in the footsteps of God and not to take lightly what Jesus did for humanity. The death of Jesus on the cross is the theme of Christianity. If Jesus didn't die then humanity would still remain in darkness, enslaved by the world and having no hope of anything in this life and the afterlife. The Old Convenant involved animal sacrifice but the New Convenant doesn't require animal sacrifice. This accounts for the reason the veil of the temple that was near the area Jesus was crucified was torn into two. It indicates we no longer require animal sacrifice or a human priest to approach the throne of God. Animal sacrifice was temporal because it was limited. On the other hand, Jesus sacrifice on the cross by shedding blood was a permanent cover for sins. There would be no need of continuously offering animal sacrifice for remission of sins. In relation to Jesus: First, Jesus was spotless. He didn't commit any sin. Second, we identify with Jesus because we are sinners. We keep on sinning. We are vulnerable to it. We feel the need to get rid of the guilt that is eating us up inside. Third, we inflicted death upon Jesus because of our sins. It was as a result of our sins that led to his death on the cross, a form of sacrifice. Jesus as part of Godhead came in form of human being in order to feel what every human being feels: suffering, pain and afflictions. This is the reason why he was the best substitute for animal sacrifice. This is also the reason why when Adam and Eve sinned, God knew using animals as sacrifice for the covering of sin was temporary. He had in mind the perfect and complete sacrifice, in Jesus. Therefore, when they (emph. Christians) take wine(juice) to represent Jesus' blood and bread (biscuit) to represent his body, it acts as a reminder of the central message of Christianity and everything it carries: THE CROSS. "... Jesus Christ did not have to die for us. He did, however, because He values every life on earth and wants to see each of us sitting at His dining table someday in heaven. 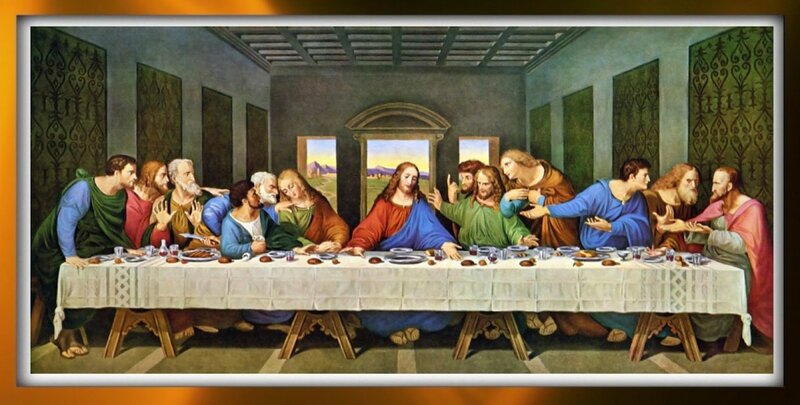 The Last Supper reminds us of Christ's sacrifice, and that by faith in Him, we can dine with Christ for all eternity." Do you believe Christians practice cannibalism? 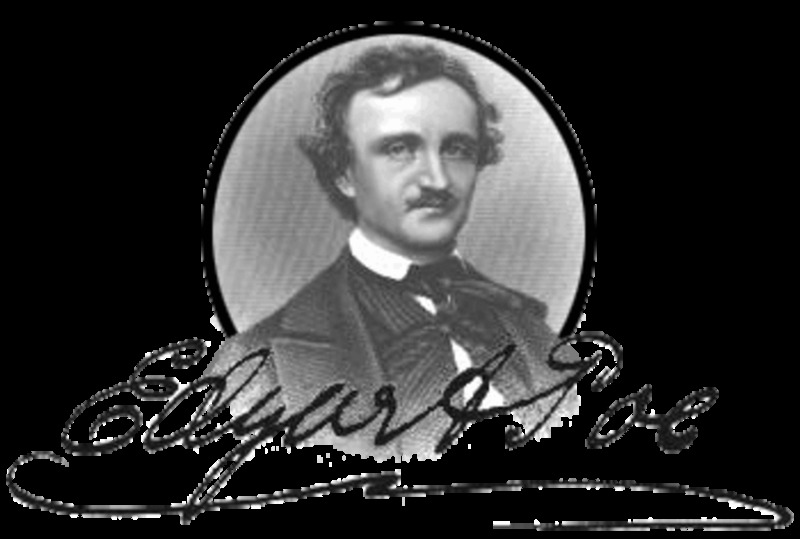 Edgar Allan Poe's use of figurative language in his poem "Annabell Lee." You wrote, "Animal sacrifice was temporal because it was limited. On the other hand, Jesus sacrifice on the cross by shedding blood was a permanent cover for sins. There would be no need of continuously offering animal sacrifice for remission of sins." The Rabbis wrote the Sacrifice Theory. Originally there was animal sacrifice to remove sin. Now, the Judeo-Christians teach a blood sacrifice of Jesus to remove sin. The problem is, sacrifice does not and has never removed sin. Therefore the death of Jesus did not directly remove sin. The death of Jesus (or near death experience) did not directly remove sin; however it was needed for the resurrection. It is the resurrection from the dead (or NDE) which proves an afterlife actually exists. He could not come back from nothing. A place or condition must first exist before there can be a return. If one accepts the resurrection of Jesus, the afterlife or spirit is proved. Once the spirit is proved we should act according to the teachings of Jesus. Until the resurrection there was no objective reason to believe in a spirit at all. Lastly, Christians are NOT teaching cannibalism. Certainly you have said what is good in behalf of Jesus and pertaining to the Heavenly Father in speaking truth and bringing attention to the truth. That is more valuable then we can ever know especially when you find the odds are greater to believe different. I appreciate you and your kind words of encouraging may we continue in the Journey of truth , and pray that many will see the spiritual light that will shine forever ! , because it is the only true key to open the door to the future of everlasting life with Jesus our King! Thank you Kiss and Tale. I have noted the verse you have provided.It's good to have Christians who care for others to help them in the journey of faith and in the Word Of God. I do not know what to say. Ben716 thank you for your feed back and encouraging reply! Because so many people have driven off the road into their own understanding and interpretations , which can not lead to the same destination in being with Jesus, he said to follow his steps closely, that way we will be with him ,rather that be earthly or rather that is a heavenly position contracted by the evening meal. We who love and respect what he has done for us will see the future in a clean New order! So we who follow find this to be true!Reference Bible 1Ch 28:9 “And you, Solʹo·mon my son, know the God of your father and serve him with a complete heart and with a delightful soul; for all hearts Jehovah is searching, and every inclination of the thoughts he is discerning. If you search for him, he will let himself be found by you; but if you leave him, he will cast you off forever. I am happy that you are the first. @ Kiss and Tales, there is a lot I learnt from your comments and I agree with you. First, how people turn the truth of God the other way, twisting the meaning to fit their own agenda, which is mostly the case with pastors. Also, it is true that we have to act on what we believe and not just believe and that is it. We have to act on the Word of God, because people are known by their actions, not words. 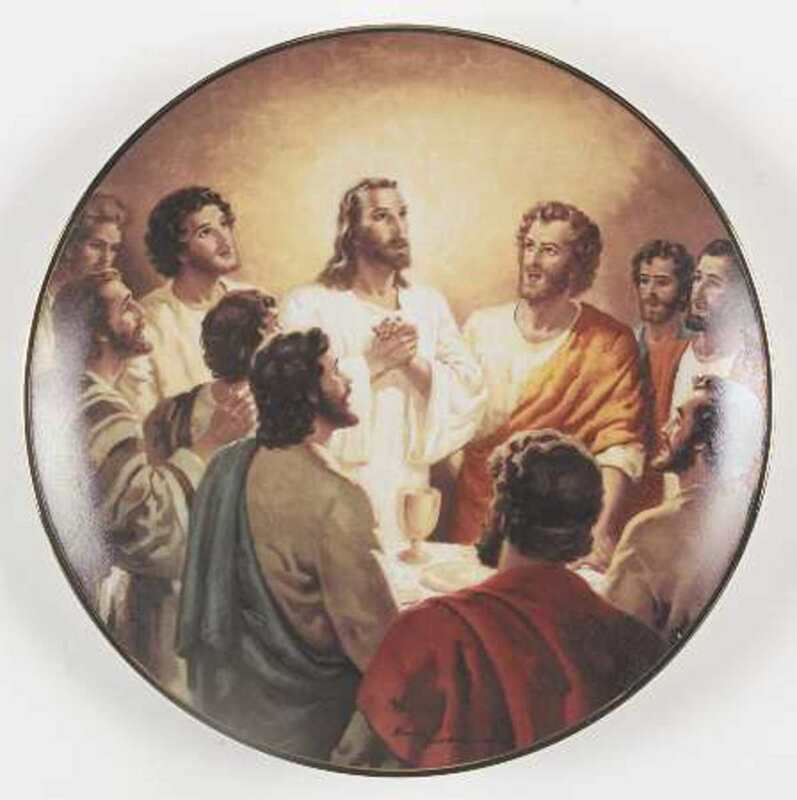 Latly, it is true taking the Lord's Supper is a contract. Here we are claiming no matter what, we will stand by his side and follow him and do as he tells us. Looking closely, the above two fit to the Lord's Supper. A appreciate so much for the insight. God Bless You. @Shameka Sutton, I agree with you. It is a symbol to remind us and to reaffirm our faith. Otherwise, if they say we practice cannibalism we would be eating and drinking literary. Thank you for reaffirming this truth. How serious is it to drink the wine and bread as symbols of this contract or agreement Jesus. Well many will agree it tajes two or more to agree on a contract. So that means this contract is like no other. It has binding on the bases of a value paid. Jesus paid with his life . To give us a future. But notice what is written how serious it would be if people treated that contract as nothing. Or they just did not appreciate the sacredness of the meaning. Therefore, whoever eats the loaf or drinks the cup of the Lord unworthily will be guilty respecting the body and the blood of the Lord. 28 First let a man approve himself after scrutiny, and only then let him eat of the loaf and drink of the cup. 29 For the one who eats and drinks without discerning the body eats and drinks judgment against himself. 30 That is why many among you are weak and sick, and quite a few are sleeping in death. People are not to eat and drink these symbols as little meaning or value . Because these symbols are a contract between Jesus and those picked for the New Government. noun 1. an agreement, usually formal, between two or more persons to do or not do something specified. 2. Law. an incidental clause in such an agreement. This Covenant was only between his faithful followers , Notice how many were in the room at the time 12 but one as Judas left. This kingdom is a real Government. Reference Bible Re 20:6 Happy and holy is anyone having part in the first resurrection; over these the second death has no authority, but they will be priests of God and of the Christ, and will rule as kings with him for the thousand years. Jesus was making a contract between him and them as his chosen staff or cabinet members As seats of Government in the heavenly realm. The wine and bread was a symbol as that contract like pen and paper. That is why not all people he had preached to and healed was present . Because in actuality only those who have been picked will be of that calling to work beside Jesus in the New Government. Reference Bible Re 14:3 And they are singing as if a new song before the throne and before the four living creatures and the elders; and no one was able to master that song but the hundred and forty-four thousand, who have been bought from the earth. What does that mean for the rest .we the survivors will be the citizens ,we will be the benefactors. As the scriptures has it written. Reference Bible Mt 6:10 Let your kingdom come. Let your will take place, as in heaven, also upon earth. This prayer has been answered. Citizenship of this New Government requires accurate knowledge . Not based on the laws of Men .for they have had their day. Mathew 24:9 “Then people will hand you over to tribulation and will kill you, and you will be hated by all the nations on account of my name. 10 Then, too, many will be stumbled and will betray one another and will hate one another. 11 Many false prophets will arise and mislead many; 12 and because of the increasing of lawlessness, the love of the greater number will grow cold. 13 But the one who has endured to the end will be saved. 14 And this good news of the Kingdom will be preached in all the inhabited earth for a witness to all the nations, and then the end will come. Who is saved ? Those that endure these things listed will. Just because you believe is not enough you will have to act with it. Example Judas was in the beginning a faithful choice that walk with the Jesus. But what happened when the persecutors came ? That was the real test of faith. However, you are the ones who have stuck with me in my trials; Mathew 26:29 and I make a covenant with you, just as my Father has made a covenant with me, for a kingdom, 30 so that you may eat and drink at my table in my Kingdom, and sit on thrones to judge the 12 tribes of Israel. So this is a great example ,Judas believed and walked with Jesus yet in the end he did not stand faithful in it by his actions. He tried to kill hisself. Also the cross is pagan not true of what Jesus died on he died on a stake or one piece of wood. Notice tree as one piece. Yes and No . First their has been a violation of what this really means. Second it is a symbol of unity of those that will rule with Christ in his Government. Since the death of the last disciples ,untruths were slowly leaked in like a poison that has done a lot of damage. But the bible of truth always stood with truth . People in general have established their own interpretations of God's thoughts. When really they are rejecting his opinion and judgments. So what do they do they say things are ok when the bible says its not. Yet when they read it they ignore what it is saying by replacing their meaning of convenience. Sorry but this is truth. Would it be proper to say I have a cure and change the words to untruth ,will that change the outcome.